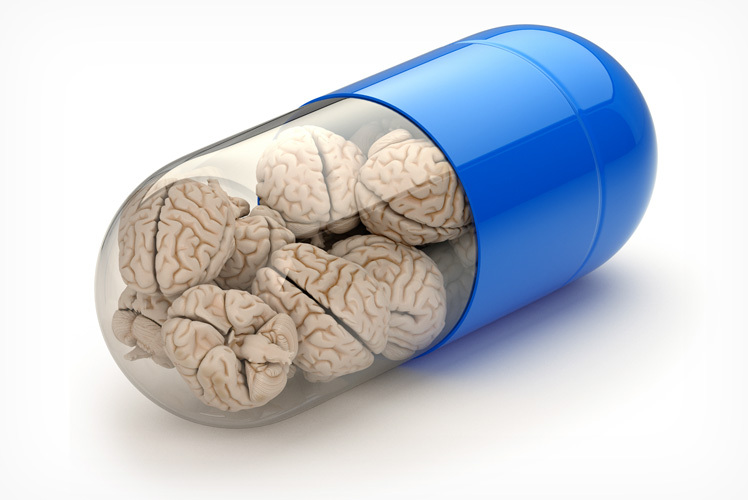 Study maps structural brain changes caused by antidepressants. Antidepressants are recommended as a first-line treatment of severe depression and for the treatment of mild-to-moderate depression that persists after conservative measures such as cognitive therapy. Experts recommend against their routine use in those who have chronic health problems and mild depression. Selective serotonin re-uptake inhibitors (SSRIs) are a recent class of compounds typically used as antidepressants in the treatment of major depressive disorder and anxiety disorders. SSRIs, including Zoloft, are prescribed for a variety of disorders besides depression, including bulimia, hot flashes, obsessive-compulsive disorder, post-traumatic stress disorder, stroke recovery and sexual dysfunction. However, there are no studies of the effects of these drugs on brain volumes in individuals not diagnosed with major depressive disorder. Now, a study from researchers at Wake Forest Baptist and University of Pennsylvania has shown that a commonly prescribed antidepressant may alter brain structures in depressed and non-depressed individuals. The new study conducted in nonhuman primates found that the antidepressant sertraline, an SSRI marketed as Zoloft, significantly increased the volume of one brain region in depressed subjects and decreased the volume of two brain areas in non-depressed subjects. Previous studies show that in humans volume differences in neural structures have been noted in depressed and non-depressed individuals, with the most commonly reported differences being smaller volumes of the cingulate cortex and hippocampus in depressed people. This is thought to be due to the fact that SSRIs such as Zoloft promote neuron growth and connectivity in these brain regions. As SSRIs are also used to treat a wide range of non-depressive mental disorders the group not only wanted to validate brain structure changes in major depressive disorder, it was also crucial for them to map brain structure changes in non-depressive disorder. In the current study forty-one middle-aged female monkeys were fed a diet formulated to replicate that consumed by many Americans for 18 months, during which time depressive behaviour in the animals was recorded. The lab explain that female monkeys were chosen for this study as depression is nearly twice as common in women as men and the use of antidepressants is most common in women ages 40 to 59. After the 18-month pre-study phase, the monkeys were divided into two groups balanced for body weight, body mass index and depressive behaviour. For the next 18 months twenty-one monkeys received sertraline in daily doses comparable to those taken by humans over a five-year period; while a control group consisting of 20 monkeys received a placebo. Results via MRI imaging show that in depressed subjects the drug significantly increased the volume of one region of the brain, the anterior cingulate cortex and decreased the volume of the same region and the hippocampus in non-depressed subjects. The researchers note that both of these areas are critical in a wide array of functions including memory, learning, spatial navigation, will, motivation and emotion; and are implicated in major depressive disorder. The team surmise that these observations are important for human health because Zoloft is widely prescribed for a number of disorders other than depression. However, they go on to conclude that given the number of different disorders for which SSRIs are prescribed it is imperative that the findings are investigated further in patient populations to see if these drugs produce similar effects in humans.